OCS Consulting has been providing specialist application development, support and maintenance solutions to its wide ranging client base which includes clients from Insurance, Retail, FMCG, Automotive, Logistics and Leasing, Publishing, Charity and UN Organisations. 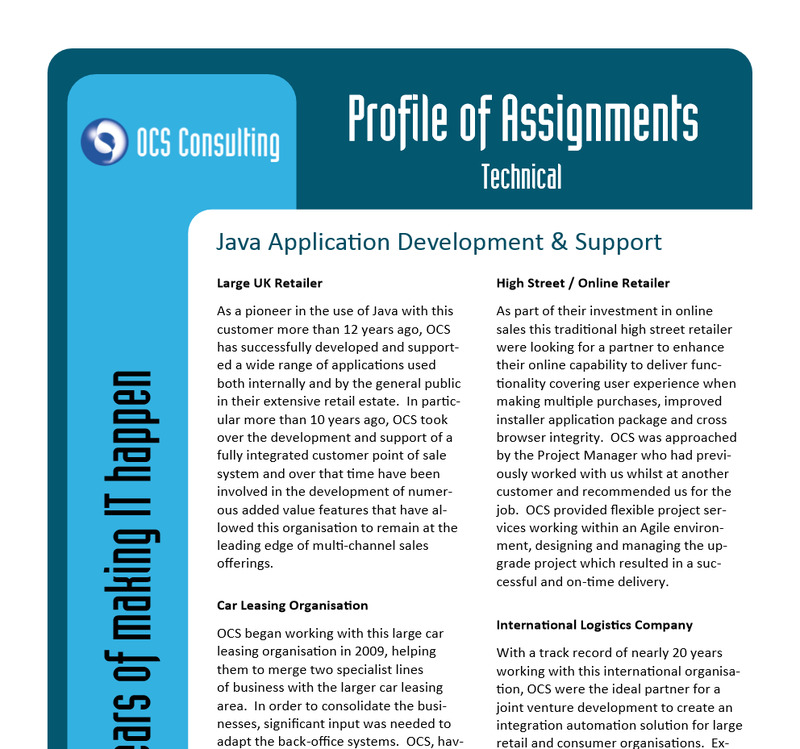 From traditional Consultancy, to Managed Services and Resourcing Solutions, OCS has been an extension to our client's IT teams for over 35 years. 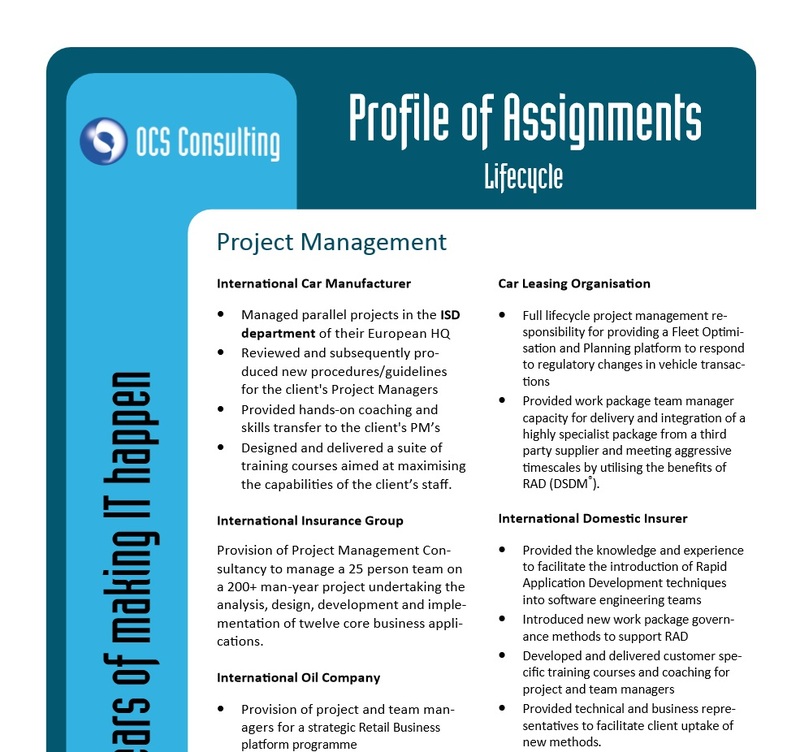 Below is a small snap-shot of some of the assignments, projects, managed services and resourcing solutions that we have provided to our clients in recent years. For further information on any of our assignments or credentials please contact Linda or Ty or call 020 8731 4338.